This potato croquettes recipe is another one I came up with to use some of those pesky purees I’ve got in my freezer. Of course, if you don’t have purees stacked away, you can use fresh veggies to make these up. This recipe takes a little longer than my usual ones, but they’re well worth the wait. 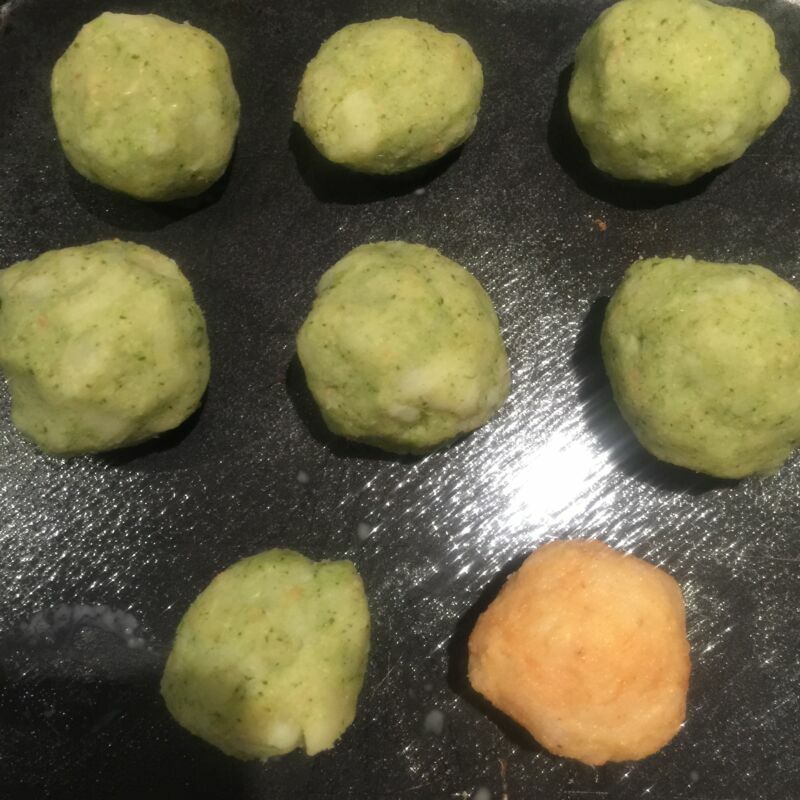 I made a batch of broccoli and potato croquettes and cauliflower and potato croquettes, enough for us all. They go great with a bit of chicken in a roast dinner or served at lunchtime alongside some carrot batons and some meat. The following recipe makes around seven potato croquettes. 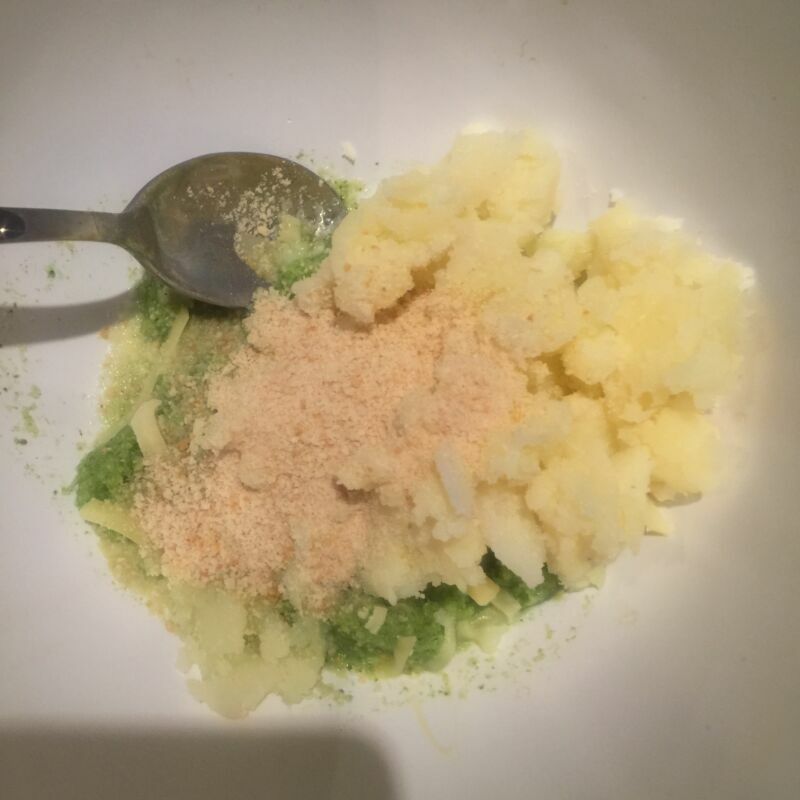 In a bowl add veggie puree (I used broccoli for one batch and cauliflower for another) mashed potato, cheese, breadcrumbs, an egg and any herbs or spices you wish to add. 2. 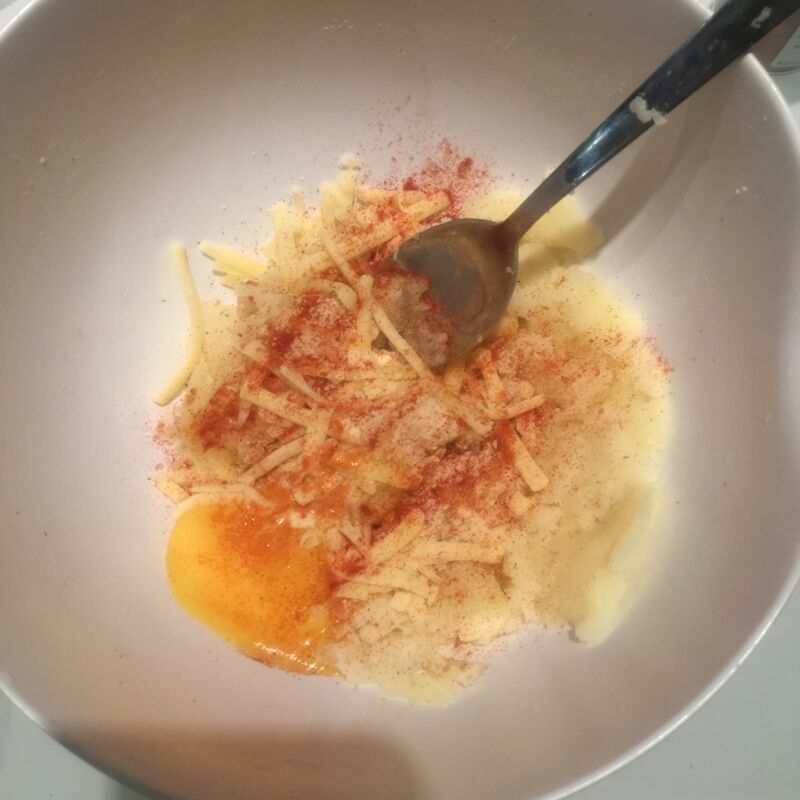 Combine all ingredients until a sort of dough forms. 4. Refridgerate the balls for half an hour. 5. When ready, preheat oven to 180C and bake the croquettes for 15-20 minutes or until golden. 6. Leave to cool before serving. 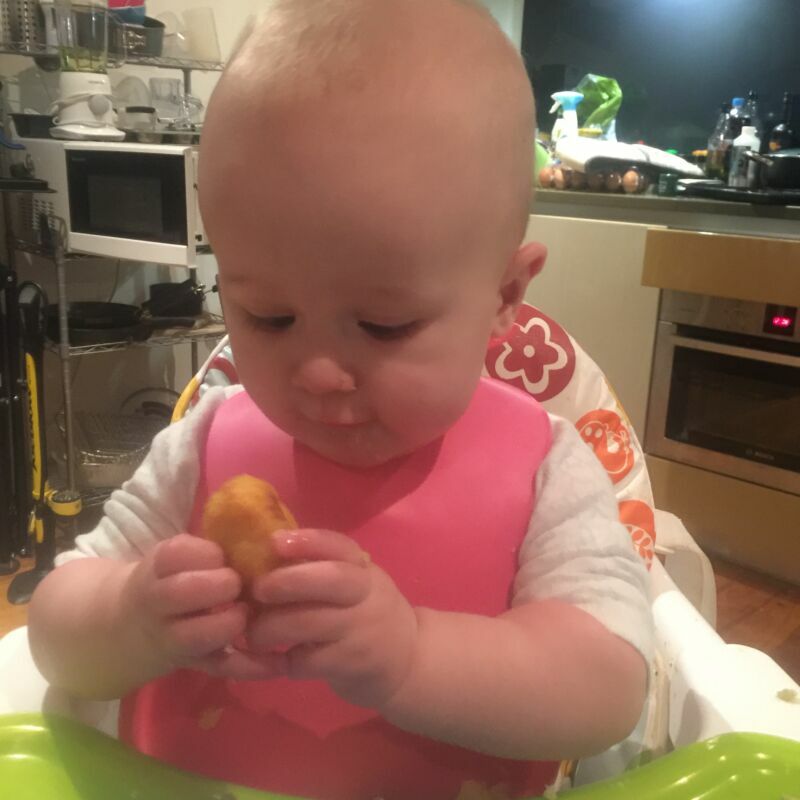 These croquettes come out nice and soft and they’re super easy for baby to pick up. I loved how the broccoli ones came out bright green catching his attention on the tray and the cauliflower ones (which I added paprika to) came out a lovely orange colour. Dex liked practising passing the balls from one hand to the other before devouring them! Let me know if you try these and what baby thought. I love to hear from you guys, so leave me a comment! These look yum! I’ve got some veggie bubble and squeak type things to attempt for him this weekend but I might try these at the same time. Do you find Dex likes the additional spices etc? I’ve not tried any yet! He’s not crazy on TOO much spice but he likes herbs and doesn’t mind some paprika! Weaning is so much fun isn’t it! Bookmarking to add to my ever growing pile of BLW recipes for a few months time – at this rate, Harrison will be having more extravagant meals than I will be! They look yummy!